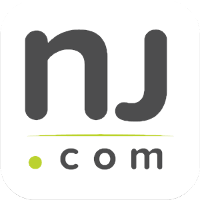 New Jersey courts are known for imposing severe penalties on individuals convicted of drug crimes. One of the bases for these punishments comes from NJ drug laws, which classify these offenses in accordance with drug “schedules.” The higher the classification or schedule, the harsher the penalties are for offenders. Whether you have been charged with possession of Xanax (Schedule IV) or distribution of heroin (Schedule I), it is imperative that you speak with an experienced criminal defense attorney. The Tormey Law Firm is a drug crime defense team that includes a former county prosecutor and an attorney who previously worked for the United States Attorney’s Office. We have defended countless clients charged with drug offenses in Millburn, West Orange, and everywhere else in Essex County, NJ. Call us today at 201-654-3464 to discuss your drug charges, or email us to schedule a free consultation at our Newark office. 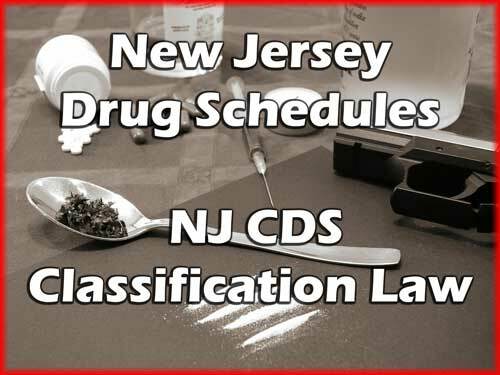 The schedules contained in the New Jersey Criminal Code list each controlled dangerous substances (CDS) according to its official name, common or usual name, chemical name, or designated trade name. a. The director shall place a substance in Schedule I if he finds that the substance: (1) has high potential for abuse; and (2) has no accepted medical use in treatment in the United States; or lacks accepted safety for use in treatment under medical supervision. b. The controlled dangerous substances listed in this section are included in Schedule I, subject to any revision and republishing by the director pursuant to subsection d. of section 3 of P.L.1970, c.226 (C.24:21-3), and except to the extent provided in any other schedule. a. The director shall place a substance in Schedule II if he finds that the substance: (1) has high potential for abuse; (2) has currently accepted medical use in treatment in the United States, or currently accepted medical use with severe restrictions; and (3) abuse may lead to severe psychic or physical dependence. b. The controlled dangerous substances listed in this section are included in Schedule II, subject to any revision and republishing by the director pursuant to subsection d. of section 3 of P.L.1970, c.226 (C.24:21-3), and except to the extent provided in any other schedule. (2) Any salt, compound, derivative, or preparation thereof which is chemically equivalent or identical with any of the substances referred to in clause 1, except that these substances shall not include the isoquinaline alkaloids of opium. (4) Coca leaves and any salt, compound, derivative, or preparation of coca leaves, and any salt, compound, derivative, or preparation thereof which is chemically equivalent or identical with any of these substances, except that the substances shall not include decocainized coca leaves or extractions which do not contain cocaine or ecogine. a. The director shall place a substance in Schedule III if he finds that the substance: (1) has a potential for abuse less than the substances listed in Schedules I and II; (2) has currently accepted medical use in treatment in the United States; and (3) abuse may lead to moderate or low physical dependence or high psychological dependence. b. The controlled dangerous substances listed in this section are included in Schedule III, subject to any revision and republishing by the director pursuant to subsection d. of section 3 of P.L.1970, c.226 (C.24:21-3), and except to the extent provided in any other schedule. (3) Any substance which contains any quantity of methamphetamine, including its salts, isomers, and salts of isomers. (1) Not more than 1.80 grams of codeine or any of its salts per 100 milliliters or not more than 90 milligrams per dosage unit, with an equal or greater quantity of an isoquinoline alkaloid of opium. (2) Not more than 1.80 grams of codeine or any of its salts per 100 milliliters or not more than 90 milligrams per dosage unit, with one or more active, nonnarcotic ingredients in recognized therapeutic amounts. (3) Not more than 300 milligrams of dihydrocodeinone or any of its salts per 100 milliliters or not more than 15 milligrams per dosage unit, with a four-fold or greater quantity of an isoquinoline alkaloid of opium. (4) Not more than 300 milligrams of dihydrocodeinone or any of its salts per 100 milliliters or not more than 15 milligrams per dosage unit, with one or more active, nonnarcotic ingredients in recognized therapeutic amounts. (5) Not more than 1.80 grams of dihydrocodeine or any of its salts per 100 milliliters or not more than 90 milligrams per dosage unit, with one or more active, nonnarcotic ingredients in recognized therapeutic amounts. (6) Not more than 300 milligrams of ethylmorphine or any of its salts per 100 milliliters or not more than 15 milligrams per dosage unit, with one or more active, nonnarcotic ingredients in recognized therapeutic amounts. (7) Not more than 500 milligrams of opium or any of its salts per 100 milliliters or per 100 grams, or not more than 25 milligrams per dosage unit, with one or more active, nonnarcotic ingredients in recognized therapeutic amounts. (8) Not more than 50 milligrams of morphine or any of its salts per 100 milliliters or per 100 grams with one or more active, nonnarcotic ingredients in recognized therapeutic amounts. g. The director may by regulation except any compound, mixture, or preparation containing any stimulant or depressant substance listed in subsections c. and d. of this schedule from the application of all or any part of this act if the compound, mixture, or preparation contains one or more active medicinal ingredients not having a stimulant or depressant effect on the central nervous system; provided, that such admixtures shall be included therein in such combinations, quantity, proportion, or concentration as to vitiate the potential for abuse of the substances which do have a stimulant or depressant effect on the central nervous system. a. The director shall place a substance in Schedule IV if he finds that the substance: (1) has low potential for abuse relative to the substances listed in Schedule III; (2) has currently accepted medical use in treatment in the United States; and (3) may lead to limited physical dependence or psychological dependence relative to the substances listed in Schedule III. b. The controlled dangerous substances listed in this section are included in Schedule IV. d. The director may except by rule any compound, mixture, or preparation containing any depressant substance listed in subsection c. from the application of all or any part of this act if the compound, mixture or preparation contains one or more active medicinal ingredients not having a depressant effect on the central nervous system, and if the admixtures are included therein in combinations, quantity, proportion or concentration that vitiate the potential for abuse of the substances which have a depressant effect on the central nervous system. a. The director shall place a substance in Schedule V if he finds that the substance: (1) has low potential for abuse relative to the substances listed in Schedule IV; (2) has currently accepted medical use in treatment in the United States; and (3) has limited physical dependence or psychological dependence liability relative to the substances listed in Schedule IV. b. The controlled dangerous substances listed in this section are included in Schedule V.
(5) Not more than 100 milligrams of opium or any of its salts per 100 milliliters or per 100 grams. Call the Tormey Law Firm today to speak with an experienced criminal defense lawyer about your drug possession or distribution case. You can reach us day or night at 201-654-3464 to arrange an in-person meeting at our office in Newark.